Height of storm snow (HST): 35 - 45 cm (13 - 26 in). Signs of instability: Small skier triggered storm slabs and wind slabs. 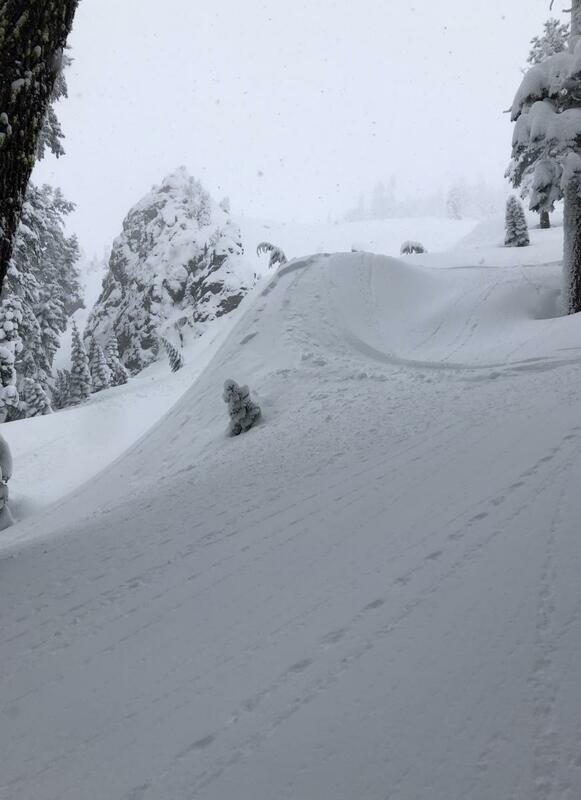 Column tests indicate the presence of a storm slab problem especially coupled with reactive ski test results on steep slopes near and below treeline. Ski penetration start of skin track 6,800 Feet. Light to moderately snowing during the extent of the tour. Snow showers would come in and out. Snowing less than 1 inch per hour with showers of slightly more than 1 inch an hour at times. Small needle precipitation particles were the dominate grain form. No wind was observed at the bottom of the skin track. Light wind with moderate gusts out of the southwest was felt on ridgeline.